Come Stay With Us Long-Term! Once you come to stay with us... you may never want to leave! 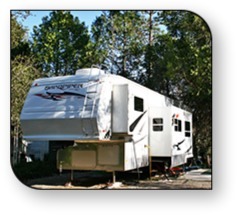 For those wanting to spend a month... a season... or all year round in our fantastic Yosemite area environment, we offer both seasonal and permanent RV sites, plus manufactured home sites and units for sale. Many of our long-term guests originally came for a short visit, only to fall madly in love with the beauty and serenity of the California High Sierra. We offer a relaxing, friendly atmosphere, well-lit grounds and paved roads. Mature shade trees are found throughout the park for those hot summer days. Winters are spectacular, with skiing, snowmobiling, and every type of winter fun right at your doorstep. 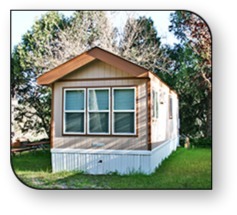 Our comfortable manufactured home sites are perfect for just about any size unit, with full hook-ups, cable TV and phone service readily available. We also have some manufactured homes already in place and available for sale. Contact us for a current list of available units. Every amenity and convenience you could want is right nearby in town — groceries, restaurants, gasoline, diesel and propane (in addition to our propane right here in the park). Plus, High Sierra takes your safety and security seriously, offering routine Courtesy Patrols for your comfort and peace of mind. 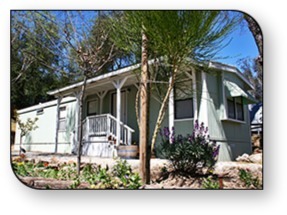 Come see why so many travelers settle down for the season... or for good... in beautiful High Sierra RV & Mobile Park. Our cozy, scenic environment and friendly, welcoming neighbors just can't be beat! For more information, and to find out how you can make High Sierra RV & Mobile Park your seasonal or long-term home, e-mail or call us at (559) 683-7662.